Cumulocity takes a prominent role in Dell’s innovative technology and services based IoT ecosystem. In addition, Dell Edge Gateways can now integrate with the Cumulocity IoT platform out-of-the-box. Today, there is an increasing adoption of technology into organisations – innovations that connect an ecosystem of sensors, devices and equipment to secure, reliable and scalable platforms for tracking, analysis and action. Cumulocity believes that the Internet of Things (IoT) requires the collaboration of an ecosystem of partners to best serve an end customer’s unique needs in a way that focuses on business benefits and minimises risks. Cumulocity has been working with Dell since last year, with the two companies now connecting their strong ecosystems to the benefit of all customers and partners. 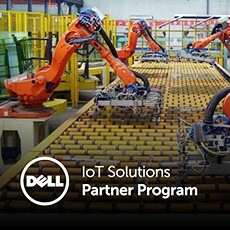 The Dell IoT Solution Partner Program is a curated world-class program of technology providers that address all parts of the solution landscape and complement Dell’s broad portfolio of enabling IoT infrastructure. The programme was recently named IoT Partner Ecosystem of the Year by IoT Breakthrough. The Cumulocity IoT platform is open, publicly documented and standards based, which allows customers to innovate full end-to-end solutions rapidly and efficiently navigate a path between the risks of technological disruption and technology dead ends. This collaboration allows the Dell Gateways to be used out-of-the-box and rapidly configured for locally autonomous multi-layered IoT solutions.